Once again, my crock pot saves the day! 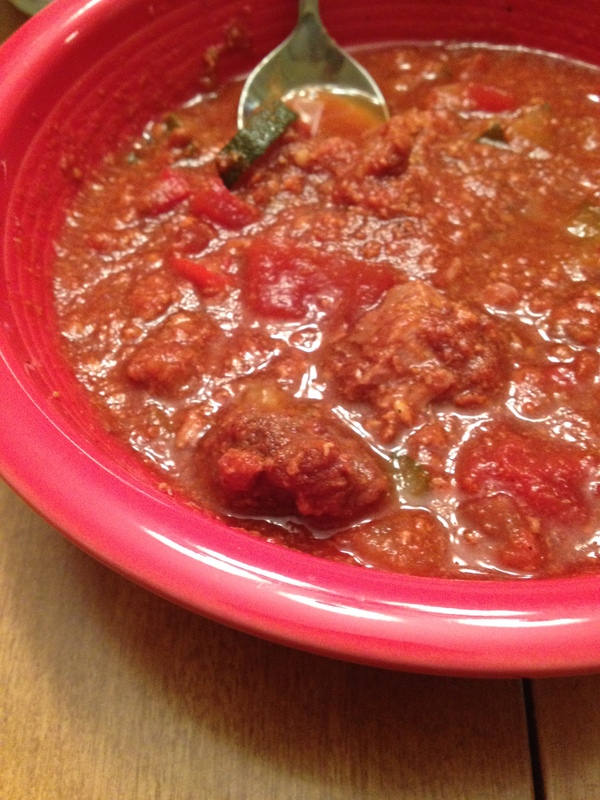 I decided to paleo-fy my favorite chili recipe and it was allllmost as good. The key ingredient in my chili is beer, which I couldn’t add, and I also love beans, which aren’t paleo. But this one came out pretty darn good! And I just threw it all in the crockpot, stirred, and let sit on low for about 8 hours. Can’t get much easier than that. You can also tweak this to add any meat/veggies/spices you’d like! 1.) Add all ingredients to a crock pot, stir, and cook on high for about 4 hours or low for about 8 hours. Serve with your favorite toppings and enjoy!